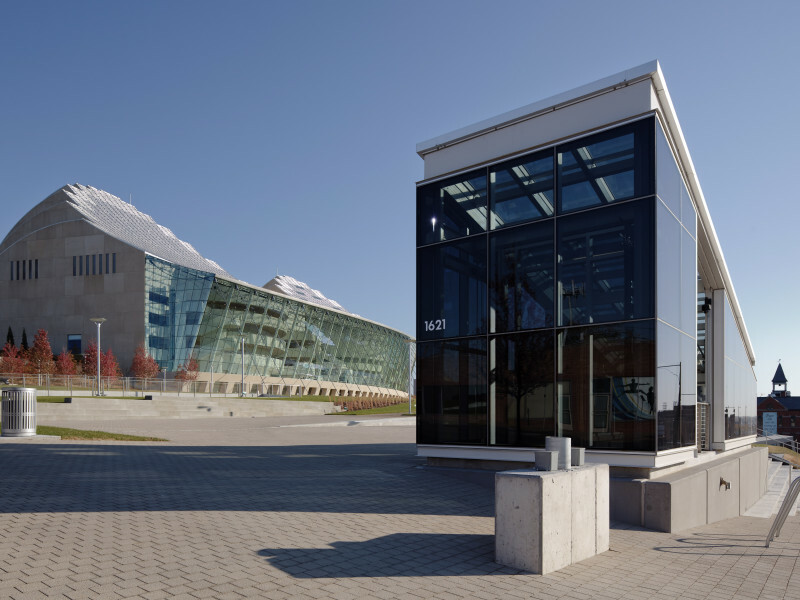 It required great skill to place a parking structure in the great lawn overlooked by the glass lobby of the new Kauffman Center for the Performing Arts. 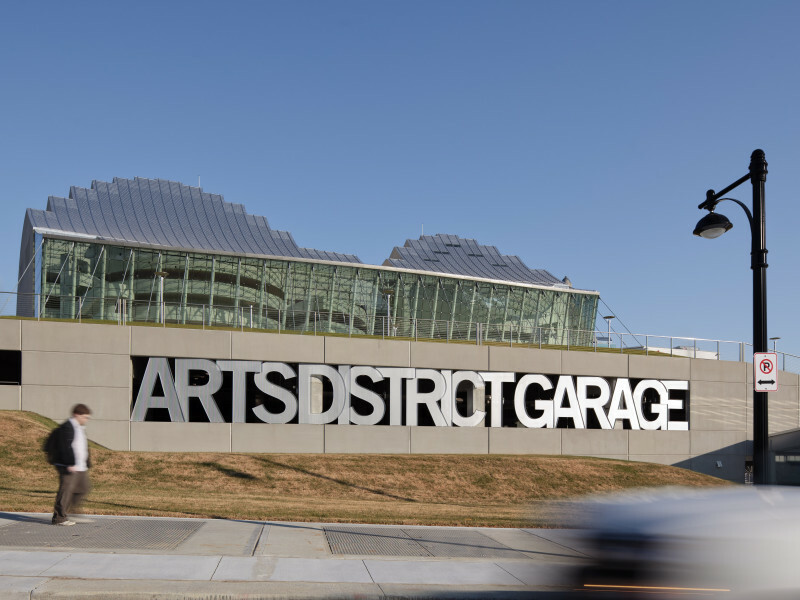 This new 1,000-car garage effectively becomes the front door to Kansas City’s signature performing arts center. 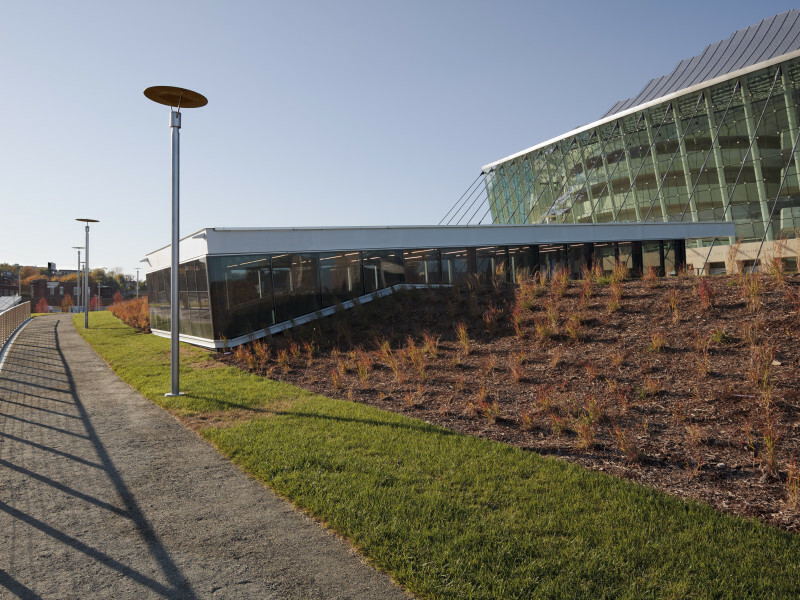 The site is a large hillside sloping away from the Kauffman Center, allowing a multi-story, below-grade garage with a green roof at the Center’s lobby level. 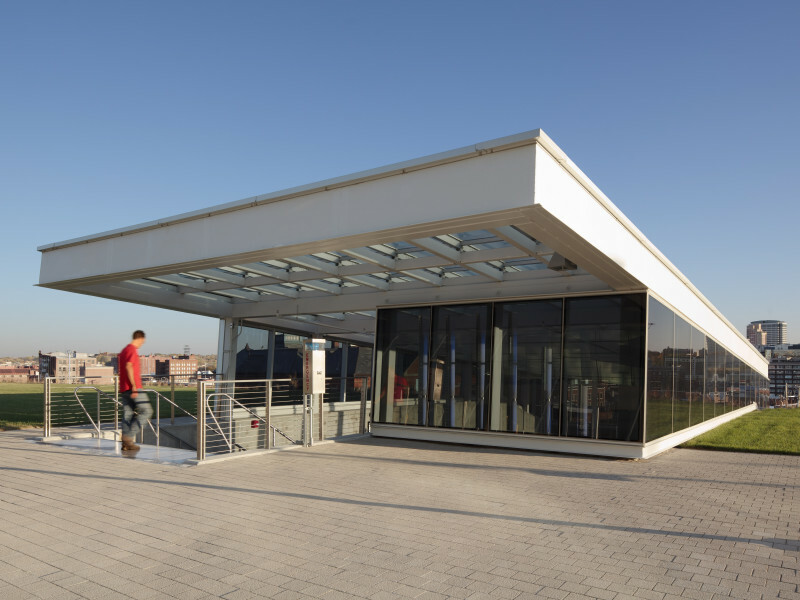 From inside the glass-walled lobby of the Center, patrons look out over the park-like roof of the garage towards the city beyond. 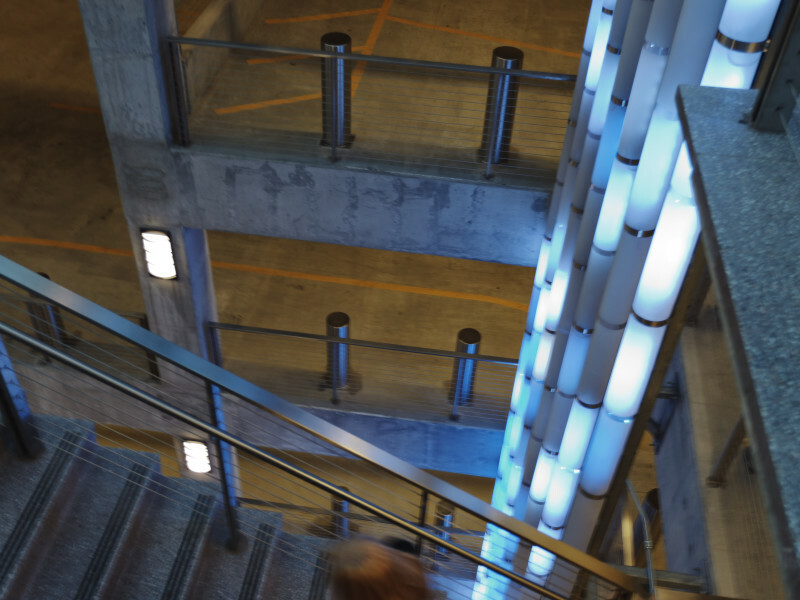 A four-story, skylighted atrium with monumental stair provides vertical circulation up to the Center’s entry plaza. All floors of the garage feed into this atrium. From the Center itself, the great lawn on the roof and several glassed-in stair structures are all that is visible of the garage. 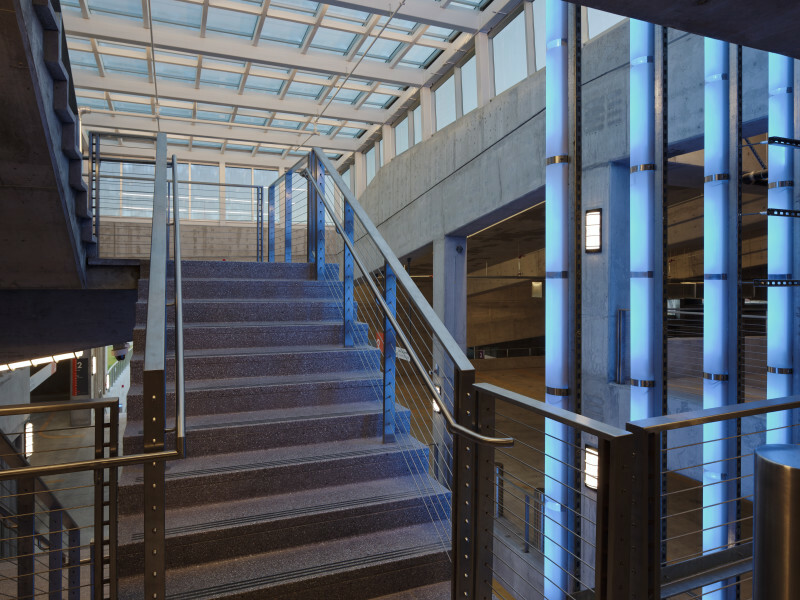 Exterior stairs and accessible ramps traverse the roof of the garage providing additional access from the surrounding city streets anchoring the Center to the city in a pedestrian friendly way.